János Murkovics (Slovene : Janez Murkovič, Prekmurje Slovene: Janoš Murkovič, December 23, 1839 – April 15, 1917) was Slovene teacher, musician, and writer in Hungary. Prekmurje Slovene, also known as the Prekmurje dialect, East Slovene, or Wendish, is a Slovene dialect belonging to a Pannonian dialect group of Slovene. It is used in private communication, liturgy, and publications by authors from Prekmurje. It is spoken in the Prekmurje region of Slovenia and by the Hungarian Slovenes in Vas County in western Hungary. It is closely related to other Slovene dialects in neighboring Slovene Styria, as well as to Kajkavian with which it retains partial mutual intelligibility and forms a dialect continuum with other South Slavic languages. 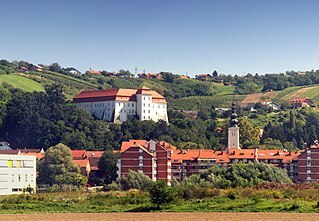 Ljutomer is a town in northeastern Slovenia, some 40 km east of Maribor. It is the seat of the Municipality of Ljutomer. Traditionally it was part of the region of Styria. It is now included in the Mura Statistical Region. The economy of Ljutomer is largely based on grape farming and wine making. Mala Nedelja is a small settlement in the eastern part of the Slovene Hills in the Municipality of Ljutomer in northeastern Slovenia. The area traditionally belonged to the Styria region and is now included in the Mura Statistical Region. Trbovlje is Slovenia's ninth largest town, and the seat of the Municipality of Trbovlje. It is located in the valley of a minor left bank tributary of the Sava River in the Central Sava Valley in central-eastern Slovenia. Lendava is a town and a municipality in Slovenia in the region of Prekmurje. The name of the settlement was changed from Dolnja Lendava to Lendava in 1955. It is close to the border crossing with Hungary at Dolga Vas-Rédics, and Hungarian is one of the official languages of the municipality, along with Slovene. Lendavske Gorice is a settlement in the hills immediately east of Lendava in the Prekmurje region of Slovenia. Murska Sobota is a city in northeastern Slovenia. It is the centre of the City Municipality of Murska Sobota near the Mura River in the region of Prekmurje and is the regional capital. The Republic of Prekmurje was an unrecognized state in Prekmurje, an area traditionally known in Hungarian as Vendvidék . On June 6, 1919, Prekmurje was incorporated into the newly established Kingdom of Serbs, Croats and Slovenes. György Czipott Slovene Juri Cipot, Prekmurje dialect Djürji Cipott was a Slovenian Lutheran pastor, teacher, and writer in Hungary. His son Rudolf Czipott was a writer. János Fliszár was a Hungarian Slovenian translator, poet, writer, journalist, and teacher. István Kováts was a Hungarian Lutheran pastor, writer, and historian. He wrote in the Prekmurje dialect. József Pusztai was a Slovene writer, poet, journalist, teacher, and cantor in Hungary. He was also known under the pen name Tibor Andorhegyi. The Slovene March or Slovene krajina was the traditional denomination of the Slovene-speaking areas of the Vas and Zala County in the Kingdom of Hungary from the late 18th century until the Treaty of Trianon in 1919. It comprised approximately two-thirds of modern Prekmurje, Slovenia, and the modern area between the current Slovenian-Hungarian border and the town of Szentgotthárd, where Hungarian Slovenes still live. 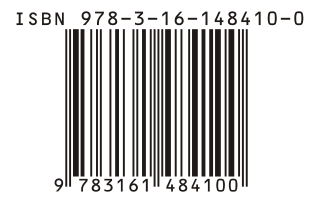 In Hungarian, the latter area is still known as Vendvidék, which is the Hungarian denomination for the Slovene March, while in Slovene it is referred as Porabje. Mátyás Godina (Slovene: Matjaž Godina, Prekmurje Slovene: Mátjaš Godina was a Slovene Lutheran pastor, writer, and teacher in Hungary. The Prekmurje Slovenes are Slovenes from Prekmurje in Slovenia and Vendvidék and Somogy in Hungary. The Prekmurje Slovenes speak the Prekmurje Slovene and have a common culture. The Hungarian Slovenes (Porabski Slovenci) and Somogy Slovenes also speak the Prekmurje Slovene. Ferenc Hüll was a Slovene Roman Catholic priest, dean of the Slovene March (Tótság), and a writer in Hungary. Imre Augustich or Agostich was a Slovene writer, poet, journalist, and representative of Vas county in the National Assembly of Hungary. He was the author of Prijátel (Friend), the first newspaper in Prekmurje Slovene. István Ballér or Balliér was an ethnic Slovene Lutheran priest, dean of Zala and Somogy, and writer. He lived and worked in the Kingdom of Hungary. Ferenc Xaver Berke de Nagybarkóc was a Hungarian Slovene Lutheran pastor and writer. István Szmodis was a Slovene Lutheran priest and writer. József Klekl Jr. was a Slovene writer, journalist, and Roman Catholic priest in Hungary, later in Prekmurje. János Szlepecz was a Slovene Roman Catholic priest, dean, and writer. He wrote in the Prekmurje Slovene dialect and also in Hungarian. The first New Testament in Prekmurje Slovene appeared in 1771: the Nouvi Zákon of István Küzmics. This was distinct from Bible translations into Slovene, such as that of Miklós Küzmics. János Terbócs or Terbocs was a Slovene Lutheran priest, dean, and writer in the 17th century in the Slovene March.